For hundreds of years, fencing has inspired dreams of adventure for people of all ages. Who hasn’t imagined themselves with sword in hand, fending off hordes of enemies with a quick and daring blade? Fencing Adventure covers the basics of the modern sport of fencing. 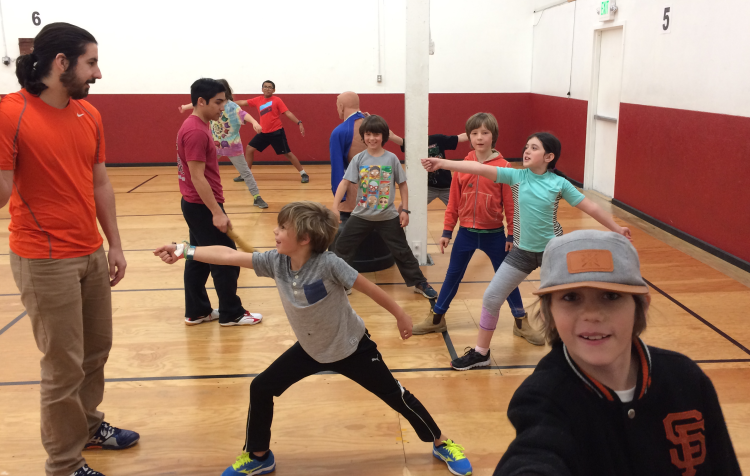 Students learn how to move with athletic grace like a fencer, put on the gear and fence safely with their friends. Respect, good sportsmanship and safety go hand in hand with learning basic rules of the sport. Development of fencing skills also help to give students valuable life lessons. Most of all, fencing is fun! Kids will get swordfights and games in every class, so there will always be plenty of exercise and good times for all. All safety gear is provided as part of the class. Students should wear tennis shoes and clothes they can exercise in. Bringing a water bottle is a good idea. We will be offering this class again in the Fall! Call 707-596-3626 for details or email Jim. Cost: $60, or join the club at the introductory rate for big savings!